We are a full service hair salon. Our staff of stylist are highly trained and talented. We keep up with the latest hair styles and trends. Whether you are looking for change or just a trim, we are here to please you. At Serendipity Hair Salon all of our stylist take great pride in their work and want you to look and feel great when you leave our salon. All of our hair care products are top of the line and we have all the right tools to give you the look you desire. 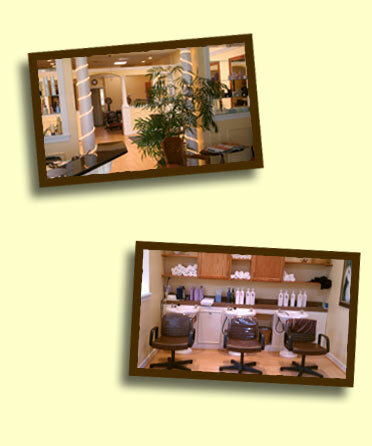 Our clients enjoy a comfortable, relaxed atmosphere at a convenient location. Myriah Johnson is the owner/manager of Serendipity Hair Salon. Myriah is a Master Stylist and makeup artist with over 20 years of experience in the industry. Draga is a Master Stylist at Serendipity. Jackie is a Master Stylist at Serendipity. A desire for helping people to feel and look their best has always been a part of Jackie's life and grew into a profession lasting over 20 years. Jackie's interest in health and well-being led her to a more holistic approach to beauty. She developed an interest in yoga, nutrition, meditation, massage therapy, and energy work, while making a conscious decision to incorporate beauty products that have certified organic ingredients and are free of ammonia, PPD, parabens, sulfates, and other harmful toxins to a achieve the beautiful look her clients have come to expect from her. Jackie received her license for cosmetology in 1994 through Royal Beauty School in Schenectady, NY. Jackie is commited to continually bettering her craft through education. She has completed courses in advanced cutting and coloring at the Aveda Institute in Alexandria, VA. The Graham Webb Academy in Arlington, Va, and Redken colory therory.